Energy transfer between molecules is a basic process, observed in many fields spanning from biology to physics. However, this process is always limited to a very short range in free space, typically on the order of a few nanometers. The team lead by V. Krachmalnicoff (Institut Langevin ESPCI Paris, PSL, CNRS) demonstrated that the range of the energy transfer between fluorescent molecules can be increased by a factor of almost one thousand using a simple silver mirror. Indeed, the electromagnetic waves involved in the usual process are replaced by plasmons propagating at the interface between the silver surface and the surrounding medium (air or a polymer layer) over distances of several micrometers. Our work proves for the first time that energy transfer range and efficiency can be greatly enhanced using surface plasmons . Moreover, we have recently demonstrated that it is possible to observe such energy transfer at the single photon scale over distances of several microns . This is achieved by using silver nanowires that act as waveguides for plasmons, enhancing energy transfer efficiency. 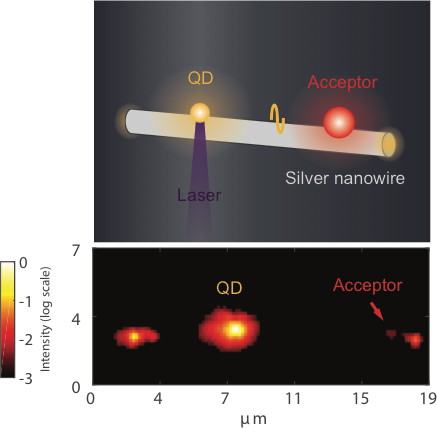 By coupling a single quantum dot and some organic molecules to the wire, we observed a simultaneous blinking of the molecules and the quantum dot mediated by single plasmons. This is a first step towards the investigation of cooperative emission phenomena. D. Bouchet, D. Cao, R. Carminati, Y. De Wilde, V. Krachmalnicoff, “Long-Range Plasmon Assisted Energy Transfer Between Two Fluorescent Emitters”, Phys. Rev. Lett. 116, 037401 (2016) highlighted as Editors’ Suggestion. D. Bouchet, S. Ithurria, E. Lhuillier, A. Gulinatti, I. Rech, R. Carminati, Y.  De Wilde, V. Krachmalnicoff, “Correlated Blinking of Fluorescent Emitters Mediated by Single Plasmons”, Phys. Rev. A 95, 033828 (2017). Figure (Up): Artist’s view of energy transfer between a quantum fot and a fluorescent emitter propagation on a silver wire.